Our bulk light incontinence pads are designed to fit into user's own underwear closer to the body than insert pads. 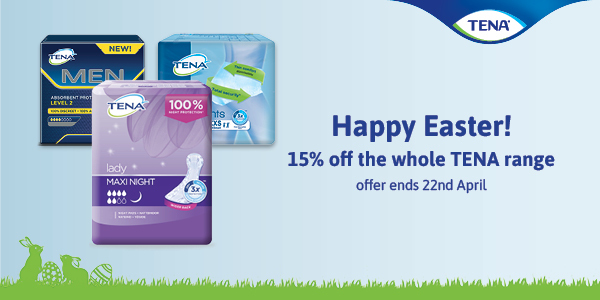 Our range of light pads features popular brands such as TENA, Lille Healthcare and Cottons Comforts. This bulk range saves you both time and money and is particularly ideal for Nurses and people who work in other healthcare settings. These pads are anatomically shaped, which means they fit close and accurately to the body. 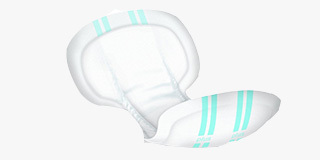 We have light shaped pads for both men and women, and they have been designed to provide optimum discretion. You won't need to worry about anyone detecting these pads during use due to their small size and anatomical shape. We recommend using these pads alongside cleansing foams and creams in our skin care range to prevent incontinence associated dermatitis and the development of other infections.